Always wanted your kid to have a pet? But, then it is not always realistic to manage a real one. We understand, so here’s an AR-based gaming app that gives your kids a real-world petting experience. It is developed by Nippon Paints and is called My Blobby, giving the kids an experience of how to adopt and take care of a ‘blobby’. The gaming app has two modes- Normal and AR mode. With the AR mode on users can experience taking care of their blobbies in a virtual world using their phone camera. The gaming app will also support voice recognition feature that allows users to control a blobby using voice command. It helps in building concentration and grooming skills in kids through a combination of games, videos and activities. Also, some sections of the game are aimed at developing cognitive skills. It can help children to easily learn different colours, build things, learn housework and grooming by adapting the same to their blobby. The app can interact and customize the look of their blobby from over 15 styles. 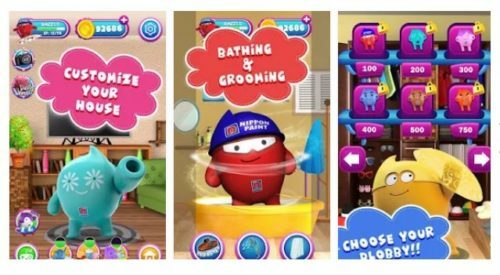 The innovative gaming app helps kids to customize their house with over 18 designs using the help of your blobby. S Mahesh Anand, President – Decorative Paint, Nippon Paint India, said, “We are excited to launch this innovative gaming app featuring Blobby, which has now become a household name across Asia. This innovative move illustrates our initiative in reaching out to children and teenagers. Blobby is synonymous with the exuberance, fun and colourfulness of our brand. 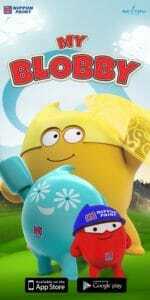 Until now, Blobby has remained an adored character, but our new attempt will focus on making it more engaging and relatable for children. The app comes with its own set of rewards, after completing every level, users will be rewarded with new blobbies and additional features will be unlocked. Upon continuous login, they will get a Blobby keychain on the 30 th day. The app is available for free on both Android and iOS devices.